In many places in the world, knowledge of pesticides is scarce, which makes it unhealthy and even dangerous. In those places, also money often is scarce. Lots of small farmers cannot afford pesticides or fertilizers. In Africa, one can say, organic is for the poor. Among policy makers there is growing recognition that organic agriculture has a significant role to play in addressing food insecurity, land degradation, poverty, and climate change in Africa. 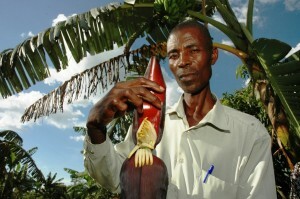 Significant breakthroughs were achieved in 2013 in the institutionalization of the African Organic Network (AfrONet). Since then, organic farming is a serious alternative in rural area’s. 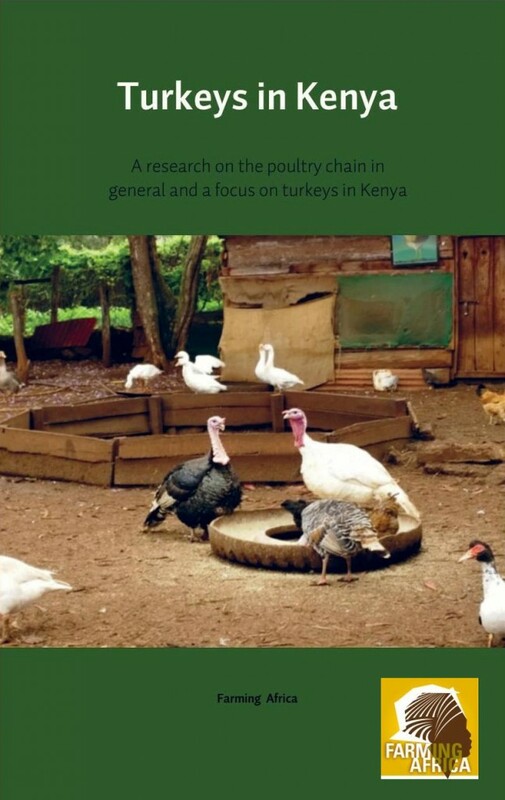 According to FAO figures 90 percent of all farms in the world are small family businesses. They produce most of our food on less than a quarter of all agricultural land. 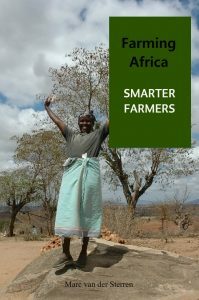 In Africa, small scale farmers are a bit less than 90 percent of the farmers, but their farms are really small: these farmers own less than 15 percent of all African farmland. Let’s take a look in Benin where Father Godfrey Nzamujo nearly 30 years ago started farming on only one hectare. He started as a small scale farmer, now he is director of the Centre Songhai, an organic farm which stretches over 24 hectare and employs an army of workers and apprentices, who toil from sunrise to sunset growing fruit, vegetables and rice, as well as rearing fish, pigs and poultry. Songhai produces seven tons of rice per hectare three times a year, up from one ton per hectare once a year at the beginning of the project. Nzamujo’s secret is in imitating nature, encouraging good bacteria in the soil to maximise production without having to rely on chemicals. 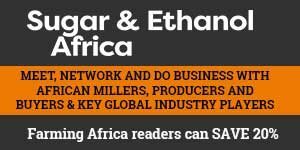 He wants to help Africans increase yields through simple techniques, without using pesticides or fertilisers, and while cutting production costs and protecting the environment. And with success. Songhai already has similar operations in Nigeria, Liberia and Sierra Leone and wants to set up shop in 13 more African countries. In other countries in Africa, the achievements are similar. Within less then four years, the recently-started ProEcoOrganicAfrica project will work towards improving rural livelihoods in Ghana and Kenya, including food supply, nutrition and income security through climate-smart ecological intensification of agricultural systems. But on grass roots level, organic farming is just a logical alternative which is as practical as efficient. Just because chemicals are unhealthy and even dangerous when used in the wrong way. And even more: it’s expensive, like fertilizers are. 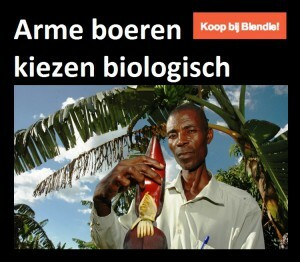 People who are able to read Dutch should read the story ‘Arme boeren kiezen voor biologisch’ for only 28 cents. Here you read about an organic restaurant in Nairobi, where organic is indeed only for the rich. Inhabitants in the slums of Kibera however, consider the high food prices and choose to produce their own food. In an organic way, because it’s cheap and more healthy. The same reasons count for small farmers in rural Uganda who choose for cheap organic growth and are even able to export their fruits. Conclusion: Using organic manure, making compost and combat pests on organic ways can be equally effective. What’s needed is knowledge. But efforts are made on this path.